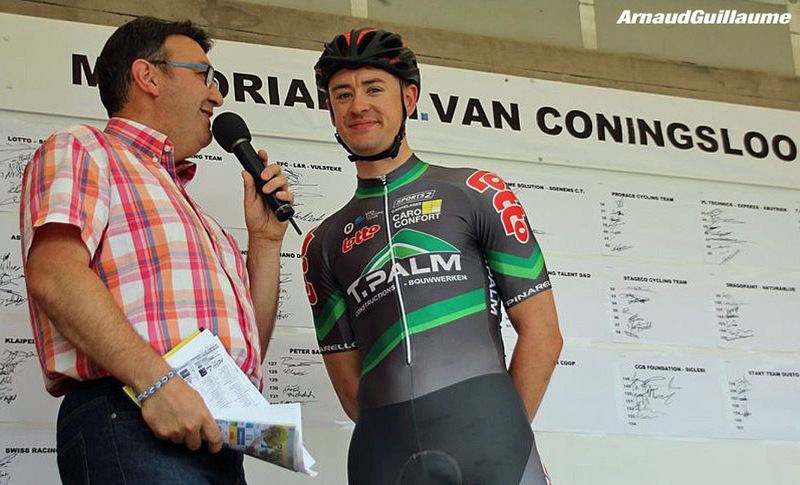 PezCycling News - What's Cool In Road Cycling : T.Palm-PCW’s Ross Lamb Gets PEZ’d! T.Palm-PCW’s Ross Lamb Gets PEZ’d! 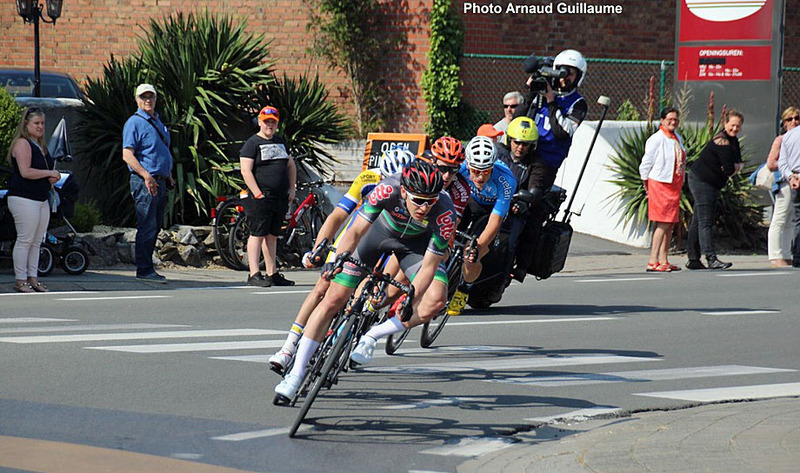 Rider Interview: Ross Lamb took the plunge and crossed the English Channel to cut himself a place in the Belgian peloton and a future professional contract. Ed Hood caught up with the young man from Mansfield after a successful spring campaign to hear his story so far... and his hopes. PEZ: A reminder on the basics Ross: You're 22 years-old, from Mansfield, England got into cycling to rehab from a football injury and this is your second full year in Belgium? Ross Lamb: Yeah, 22 now, yes and from Mansfield, it was an excuse for getting a road bike yes as I’d always watched it on TV with my step dad. This is my second full year here in Belgium and a continental calendar to get stuck in to. PEZ: Are you still David Rayner funded? - if so, please tell us what that means to you. I am indeed a Dave Rayner Fund rider again this year. The fund takes a huge amount of pressure off my shoulders in terms of living costs which I appreciate massively. Also the community of being a Dave Rayner Fund rider is superb, on Twitter the funds main advertisement there’s a lot of support and linking into the different riders which is great at races, you know who’s there and can say ‘ayup!’ on the start line, that sort of thing. PEZ: And you nabbed a win in the GP Claudy Sohet; tell us about that one please. GP Claudy Sohet, Amay. It seems that long ago it feels like it was a different season! Before the race me and my friend and teammate Adam Lewis also an ex-Dave Rayner Fund rider joked that if all was together last lap we’d give it a good old dig on the hill and that’s pretty much what we did. I attacked on the descent before it with one other; Adam joined us just before the hill – we rode full gas, put in a couple of attacks each, but fair dos to the other guy he could follow everything, the finish was uphill and I just put it in a gear turned it over and we got the one-two and for the second time albeit the other way round this time. 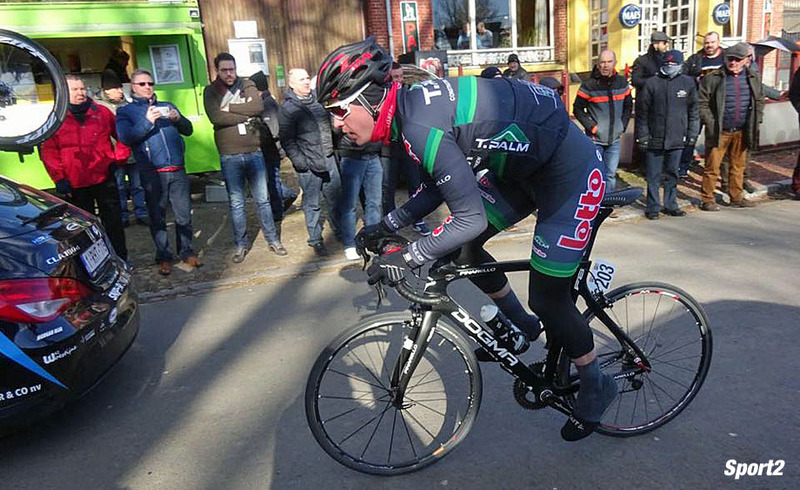 PEZ: Second in the Stan Ockers Classic pro kermis - a strong result. 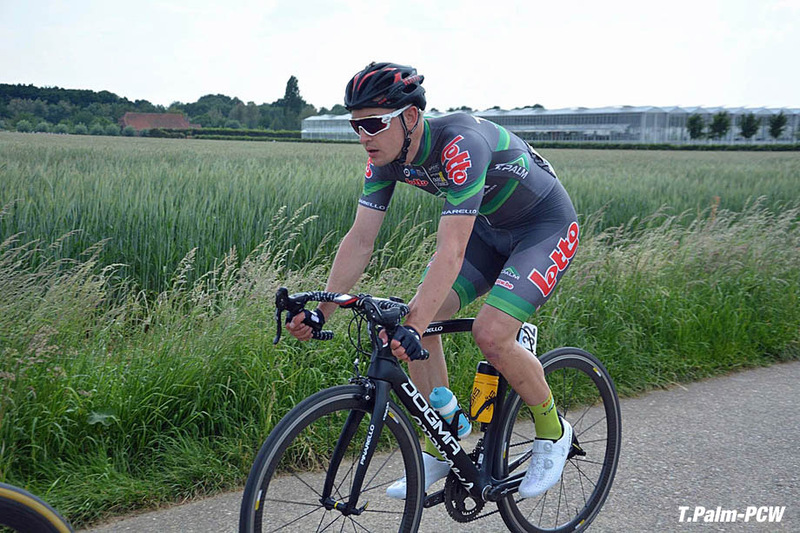 Stan Ockers was a surprise for me, I’d raced the day before at the GP Marcel Kint and was in a late attack so I was feeling pretty tired for it, especially as I’ve not raced that many back to back races, especially doing a UCi 1.1 first. In the end I just got done over, being honest. 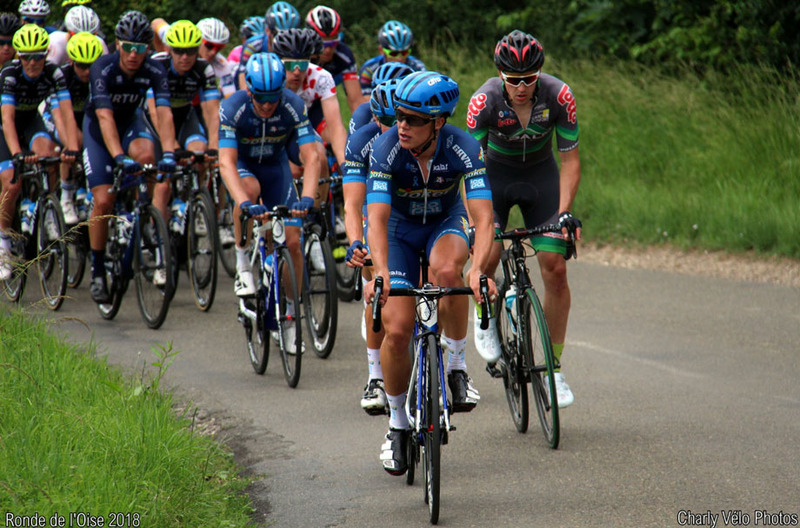 I was away with two guys from the same team and they just attacked and attacked, then one being smart took me into the side of the road whilst slowing and that gave the winner a bit of a gap, I managed to close it but for the sprint it had written me off. 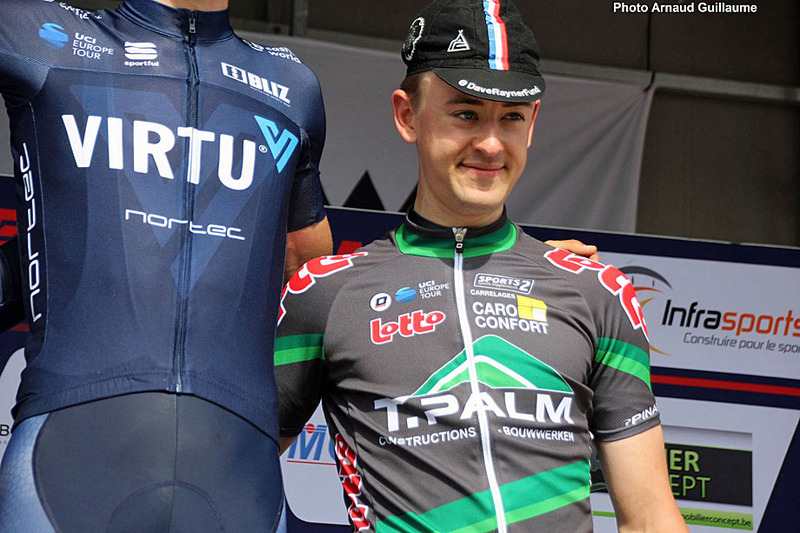 PEZ: Third in the Circuit de Wallonie; that's a UCI 1.2, another very strong result. 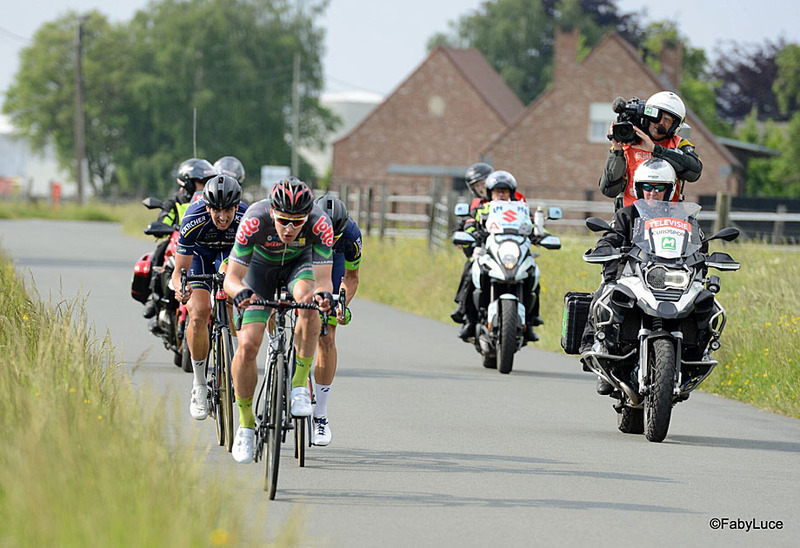 Circuit de Wallonie is a race I like. I was 11th there last year and was disappointed with that; this time round I knew what to expect, again similar to the Stan Ockers GP, I was done over, in the last lap another rider from Virtu linked up with our group giving them two riders, one attacked and that was that. 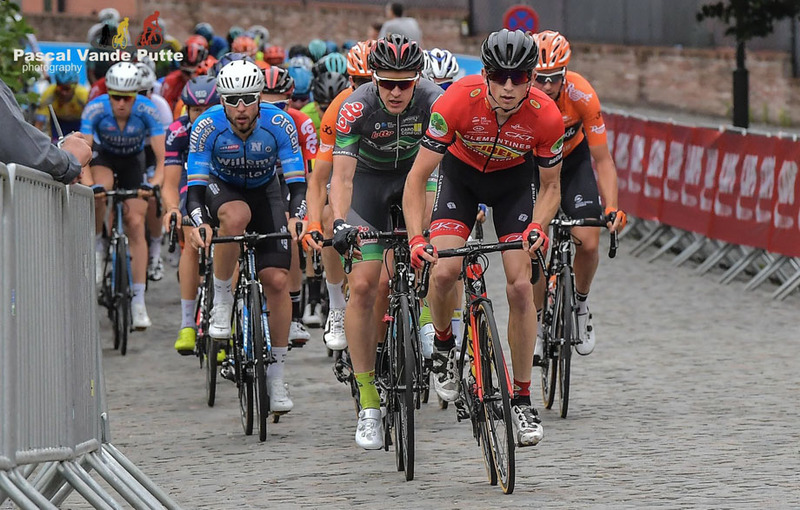 The other, a fast finisher, sat back and pipped me at the line for second place, my first UCI points in the bag though and it has given me the lead of the Belgian Topcompetitie where I was seventh overall last year so that has naturally became a target to keep. 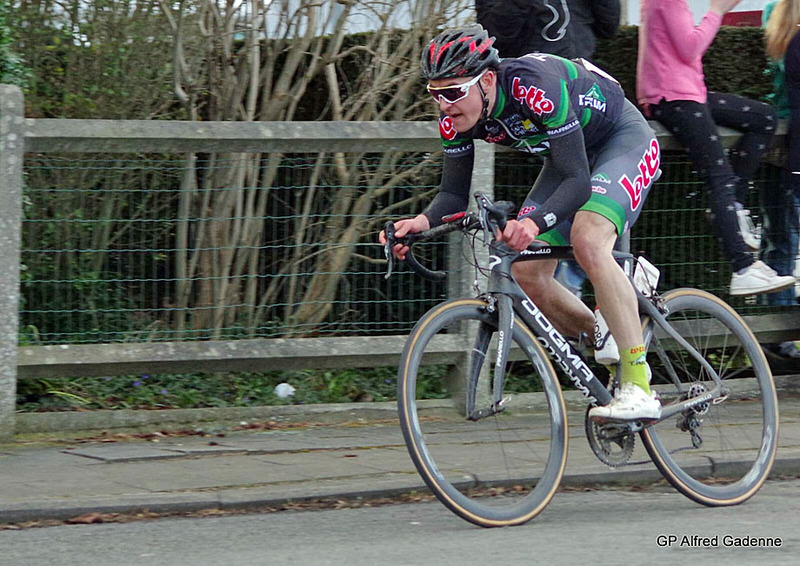 PEZ: You rode The Samyn, that must have been savage? Savage is exactly what it was. Minus eight degrees actual temperature and minus 13 with the wind chill. Crazy. 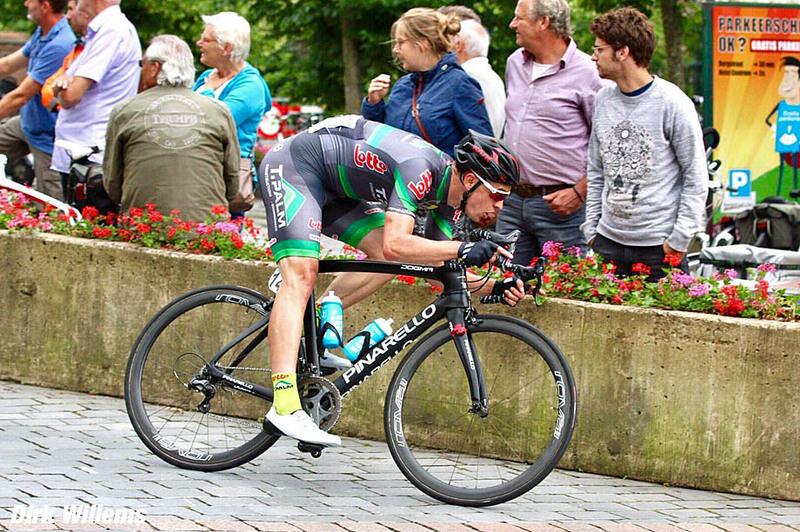 It made life hard for me when I wrote my wheel off in a huge typically Walloon pothole, managed to get back in then just when QuickStep gave the gas I punctured again, got back, onto the first pave 130km in and then my chain drops off. Nightmare. All things considered though it was an experience for sure. 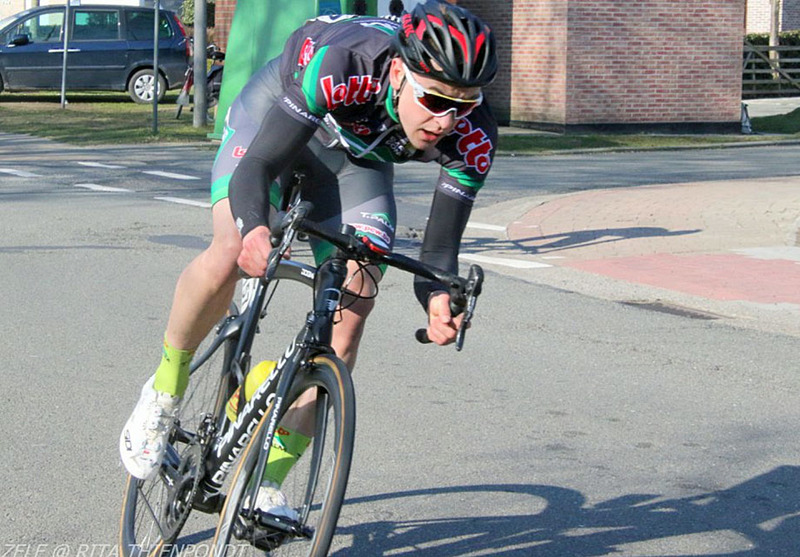 PEZ: Last year you won a Belgian ‘InterClub’ race - that must have raised your profile? 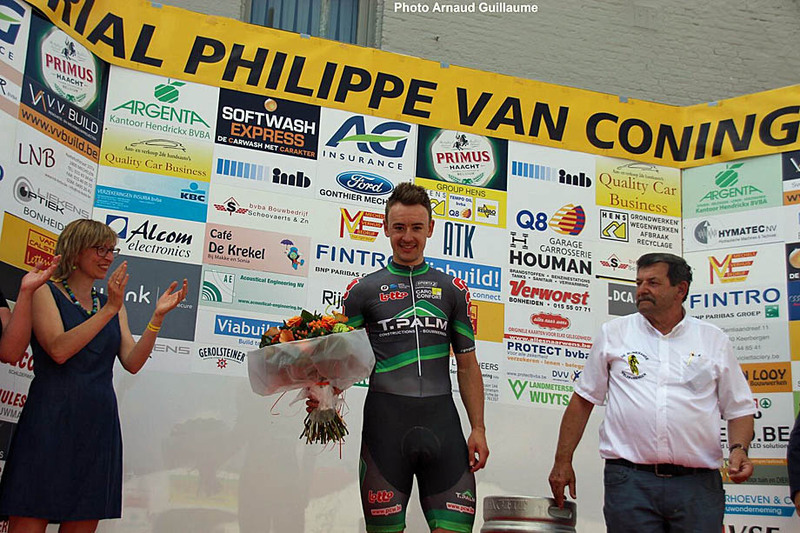 Maybe so but I still had an alright year for my first full year in Belgium. 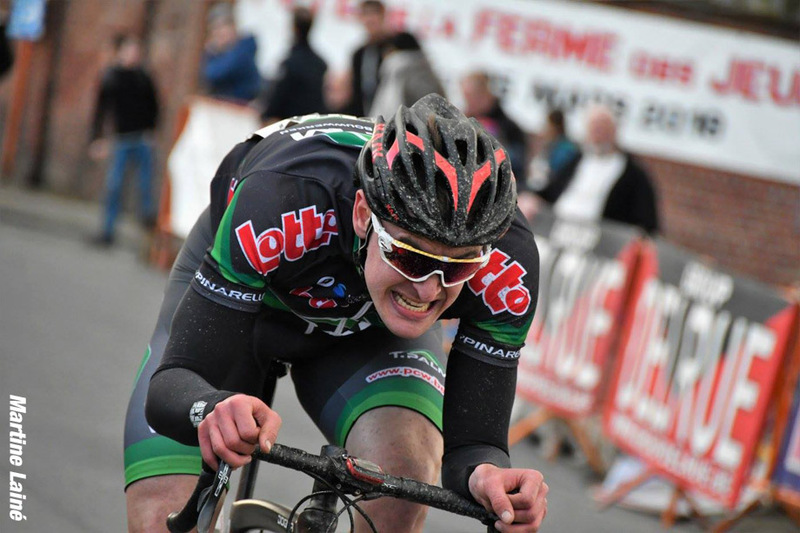 It was a good win for me winning solo something I’d not done in Belgium before. PEZ: You've changed teams for this year, why? I had too really, to progress I needed better races and that’s the only reason I changed teams. 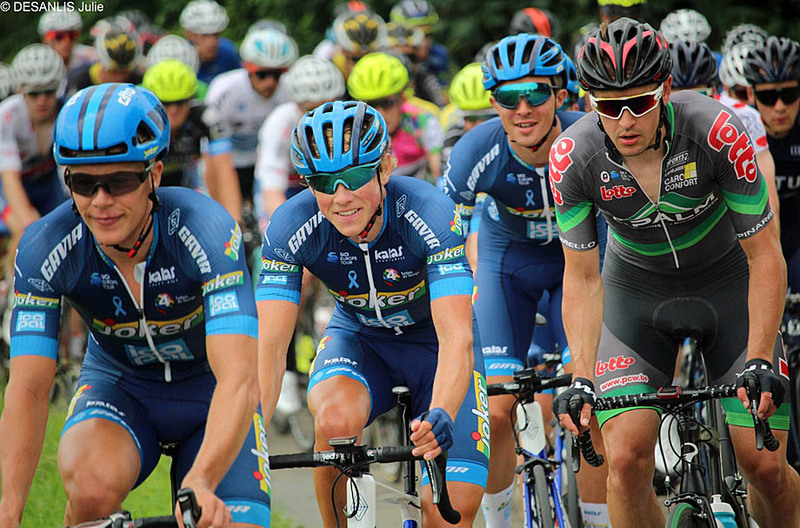 Being with a continental team I think people take notice of you a bit more as well. A good springboard hopefully to move on. I changed my mindset going into winter this time. After my rest period as soon as I started pedalling I knew I was better but looking back I rested on my laurels a bit. 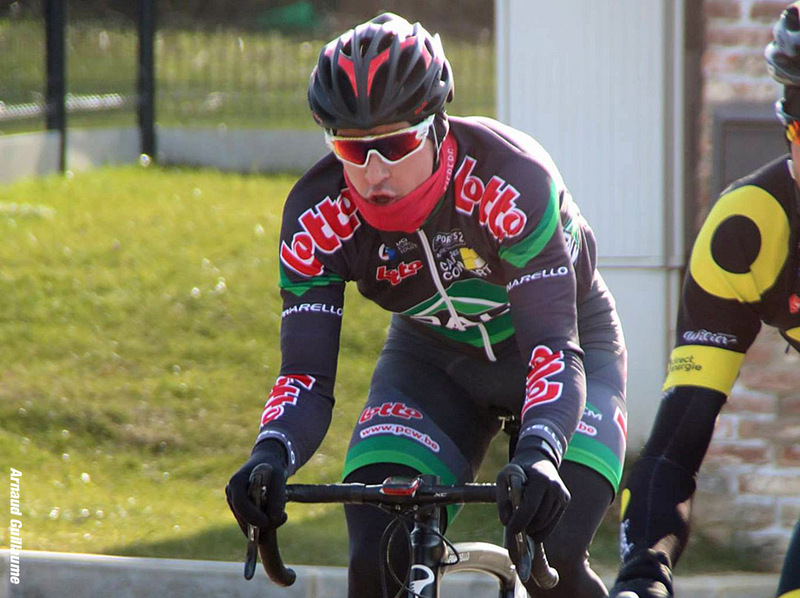 The winter before I was scared I couldn’t race above 160km so I worked on that. This winter I still did a fair amount of training but tried to do a lot more gym work. There’s still a lot for me to learn in this area. No, I don’t have a coach right now. As much as it would be nice to at the moment I can’t afford it and with the amount of racing I do it can be hard to train properly. Bryan Steel (ex-GB to track rider, ed) still helps me out when I need advice or to work on something more specifically. PEZ: Are you still staying at Cafe Sur Place? Yes, I couldn’t live anywhere else really it’s perfect for me apart from the training. It is very flat so prep for the hilly races can be very hard but I’m not a guy that’s ever going to go well up a berg. PEZ: How’s that Belgian weather been? I actually think the weather is quite fair over here, more trustworthy than back home. Of course the beginning of the season around Feb/March is grim but winter in England preps you for that?!? PEZ: How’s the programme looking? 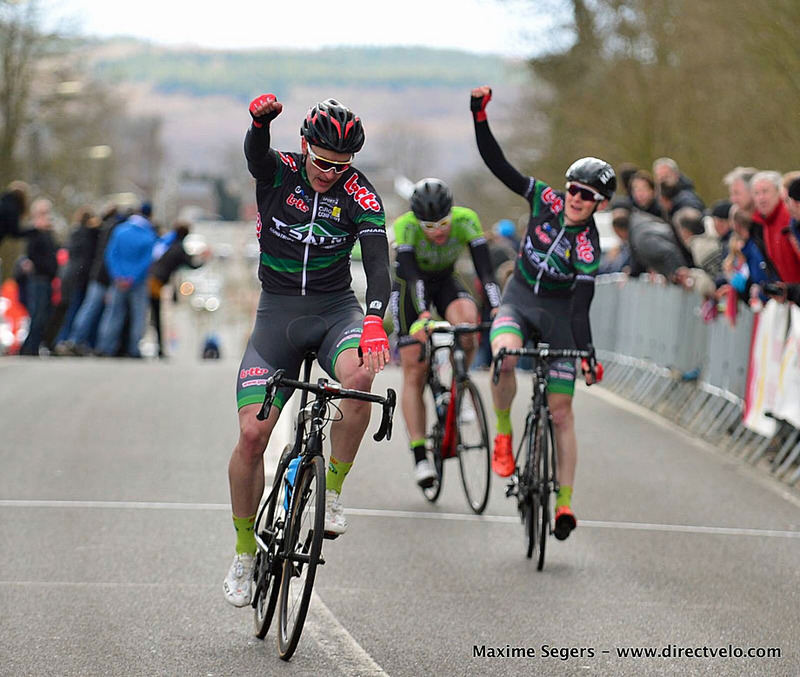 At the time of writing I’ve just finished my first stage race of the year in the Ronde L’Oise (where he recorded a mid-field GC placing, ed.) but I’m just about to start a bit of a rest week before kicking on again. 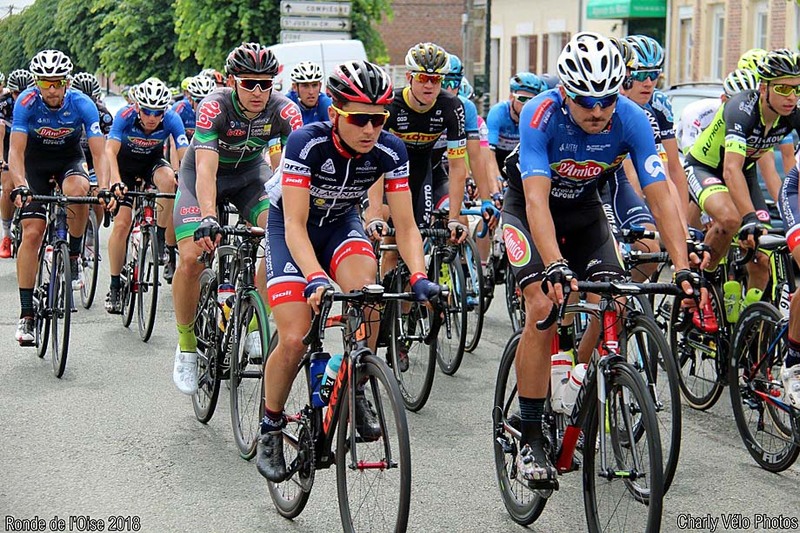 Some nice UCi 1.1 races are next as part of the Napoleon Games Series so some good opportunities, also the stage racing comes thick and fast from July. As I mentioned earlier the remaining Topcompetitie rounds have become targets. PEZ: Where do you feel you've improved this year and what's still to work on? Overall I’ve improved, the accumulation of last year just gave me a lot more. I know I can win a lot more but I have to admit I have had some bad luck in races this year with things not quite happening for me. No excuses because that’s the way it works, it just takes a toll on the results. I have an engine, it’s just adding the bits that win races, I think I can develop a sprint but then positing and decision making needs to be improved as well. I have a lot to work on/learn. PEZ: Are you still ‘loving it’? Natuurlijk! It’s been a great experience for me so far, even with the bad times often being more frequent than the good. I know things will keep improving and that’s what makes me love it, seeing myself improve and also the people I’m surrounded by, they make my life great.